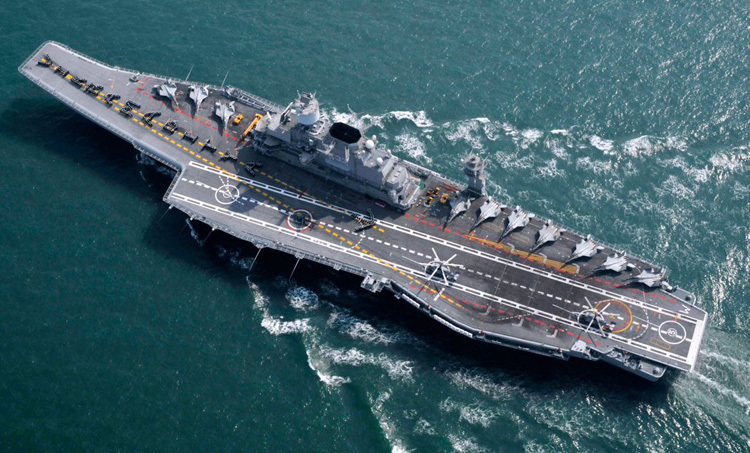 The Indian Navy has deployed its nuclear submarines, aircraft carrier and all frontline warships in the North Arabian Sea to "prevent, deter and defeat any misadventure by Pakistan" in the aftermath of the Pulwama terrorist attack which has ratcheted up military tensions. The Navy announced on March 17 that about 60 warships have been "redeployed for operations in the North Arabian Sea". "The overwhelming superiority of Indian Navy in all three dimensions forced the Pakistan Navy to remain deployed close to the Makran coast and not venture out in the open ocean," Indian Navy spokesman Captain DK Sharma stated in a dramatic announcement. This is the first time that India has made a public announcement about the operational deployment of its two nuclear submarines, INS Arihant and INS Chakra. 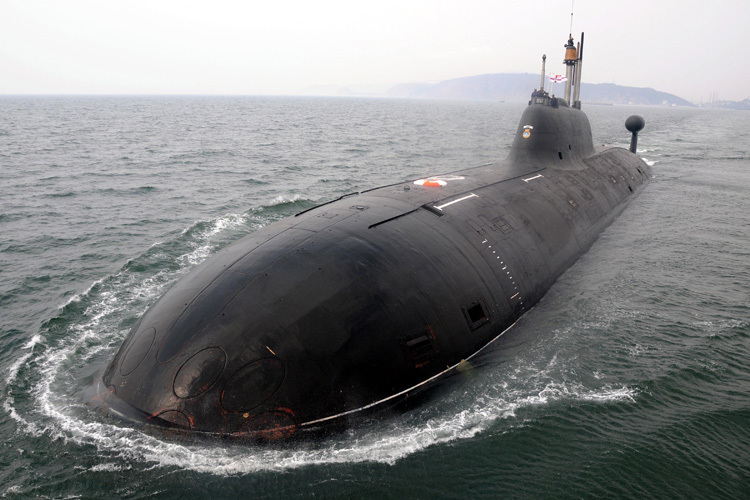 INS Arihant, armed with nuclear warheads, is an operational deterrence patrol. The statement suggests military deployment at levels akin to those during war time. Tensions post the terrorist attack at Pulwama in Jammu and Kashmir by Pakistan-based Jaish-e-Mohammad terrortists on February 14 forced the Navy to cancel its biggest-ever exercise, TROPEX 19, and redeploy its most potent warships against Pakistan. "The major combat units of the Indian Navy including the Carrier Battle Group with INS Vikramaditya, nuclear submarines and scores of other ships, submarines and aircraft swiftly transited from exercise to operational deployment mode as tensions between India and Pakistan escalated," the Naval spokesman declared. Navy Chief Admiral Sunil Lanba was debriefed in Kochi on March 18 about the largest war game, and the present status of redeployment. "The exercise had commenced January 7, 2019 and was planned to be terminated by March 10, 2019. However, the JEM sponsored terrorist attack on the CRPF convoy in Pulwama on February 14, 2019 led to the rapid redeployment of the Indian Navy for Operations in North Arabian sea," the spokesman added. "About 60 ships of the Indian Navy, 12 ships of the Indian Coast Guard and 60 aircraft were part of TROPEX 19. Amongst the key attributes of Naval forces are the 'Versatility' to change roles, 'Mobility' and 'Poise'. Availability of such a large number of combat ready assets in the theatre of operations for TROPEX 19 allowed the Indian Navy to expeditiously respond to the developing situation in synergy with the three services," the statement elaborated. The day long review of TROPEX 19 on March 18 by Admiral Lanba along with all operational commanders was intended to examine the conduct of the exercise and to assess the operational preparedness of the Indian Navy.